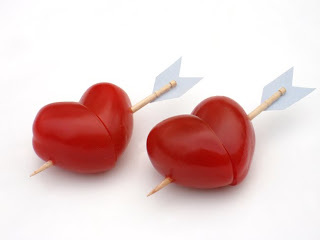 My Blog: Play with Your Food - It's Valentine's!! We were always taught to "not play with our food" but here's something so darn cute that I just felt the need to show you for the upcoming Valentine's weekend. Check these out, they are cherry tomatoes!! Who said fruits and veggies can't be fun??!! Not me. 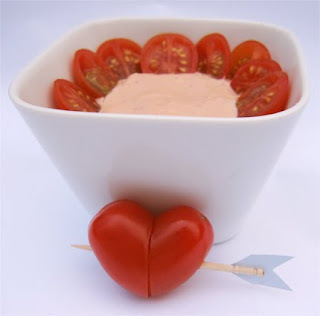 See how tomatoes and mini cocktail weiners can be turned into your "hearts" delight, there's even instructions for this terrific cocktail dip! Here's wishing everyone love and a great Chinese New Year - Year of the Tiger! !